One of these days, someone’s gonna do the 4-CD box set Cooder deserves — with early Rising Sons and Captain Beefheart material, session work, solo stuff, soundtracks, world music collaborations … But until then, this double CD culled from studio albums and soundtracks will have to do. “UFO” isn’t the first compilation of the fretmeister/musicologist’s work. Earlier collections were “Why Don’t You Try Me Tonight?” (1985) and “River Rescue” (1994), both “best of” releases; and the double-disc soundtrack anthology, “Music by Ry Cooder” (1995). Like “Echoes,” Pink Floyd’s 2001 2-CD “best of,” this is not a chronologically sequenced retrospective. 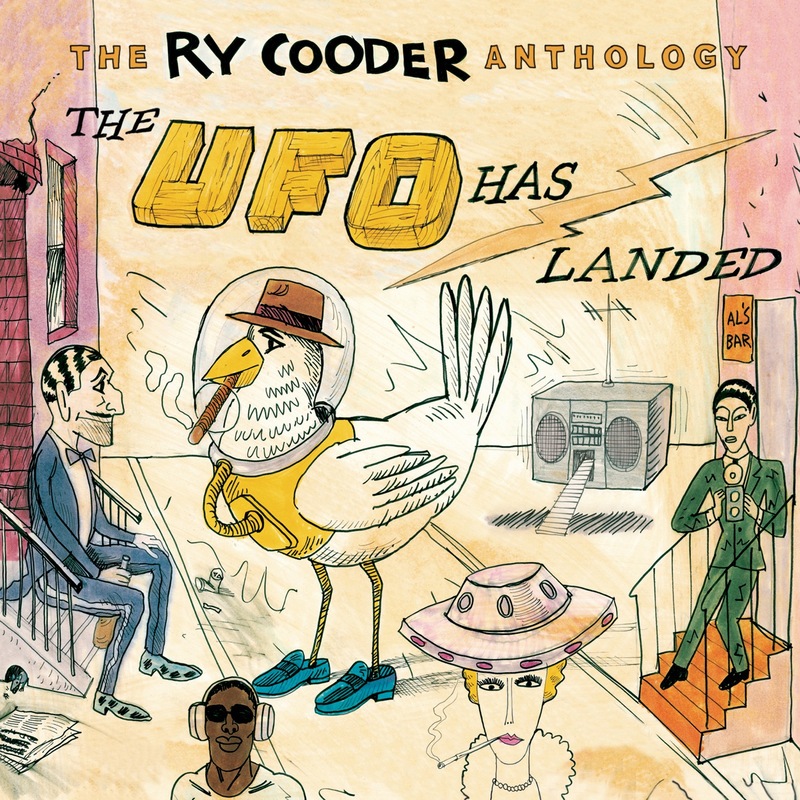 Cooder and percussionist-son Joachim picked 34 songs spanning 38 years (from 1970’s “Ry Cooder” to 2008’s “I, Flathead”), jumping in with a couple of tracks from “Get Rhythm” (1987), his last solo album before he entered the 18-year-long “I only do soundtracks and world music now” phase of his career. From there it’s a game of musical leapfrog, moving forward and backward in time, each track segueing perfectly into the next with only an occasional pairing of songs from the same album. As always, while everything he does is superb, Cooder’s sublime slide guitar playing provides the most satisfying music-appreciation moments.